Why Aren't Women Fighting the Health Care Trojan Horse? Reader Robert Hammond, who always sends me good stuff, pointed out this article from the Evening Standard about proposed new health care rules in England. Frequent readers will know that I have long argued that nationalized or single-payer health care is a Trojan Horse for fascism (and much more here) in the form of micro-management of individual decisions. If your personal choices that in the past only put yourself at risk now cost other taxpayers money, then those other taxpayers are going to try to redirect your choices. Failing to follow a healthy lifestyle could lead to free NHS treatment being denied under the Tory plans. immunisations or attending regular health screenings. hip replacements until they cleaned up their act. one should expect taxpayers to fund their unhealthy lifestyles. Here is the real problem: This is absolutely logical. There is nothing at all incorrect about the last statement for example. This is not an abuse or an excess. This is a completely predictable result of single-payer health care. Any single-payer is going to have these incentives, but when the single-payer is the government, they not only have the incentives but the full coercive power to do something about it. I am exhausted with the statist defense against such outcomes that "well, its just the particular individuals in charge -- if we could get the right guys in there, it would work great." No. The right guys are never in there, despite technocrats' big dreams, in part because the incentives in place turn even the right guys into the wrong guys. One of the reasons we spend so much on health care today is because most of us can do so without any personal financial cost. Few of us (I am an exception, with a very high deductible policy) actually have to make cost-benefit trade offs in each of our health care purchases like we do in contrast for ... absolutely everything else we buy except health care. The results are predictable. We get pissed off when our insurance company denies coverage on some procedure or cost, we is part of the base-level of discontent that health care "reformers" draw on. But it is stunning to me that people who have discontent with their current insurer feel like things will be better with the government! Hey, this sounds like a women's issue! What this article really shows is that by going with a single-payer government system, each of us would be ceding the decisions about our health care, our bodies, and even lifestyle to the government. 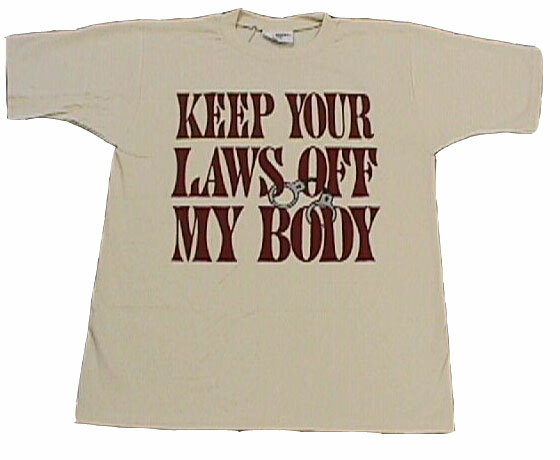 So surely women's groups, who were at the forefront of fighting against government intrusion into our decisions about our bodies, is out there leading the fight against government health care. WRONG! Their privacy arguments stand out today as sham libertarian arguments that applied only narrowly to abortion. It's clear that as long as they can get full access to abortion, women's groups are A-OK with government intrusion into people's decisions about their bodies. does not require full-time employment and a beneficent employer. Health care is a right, not a privilege.